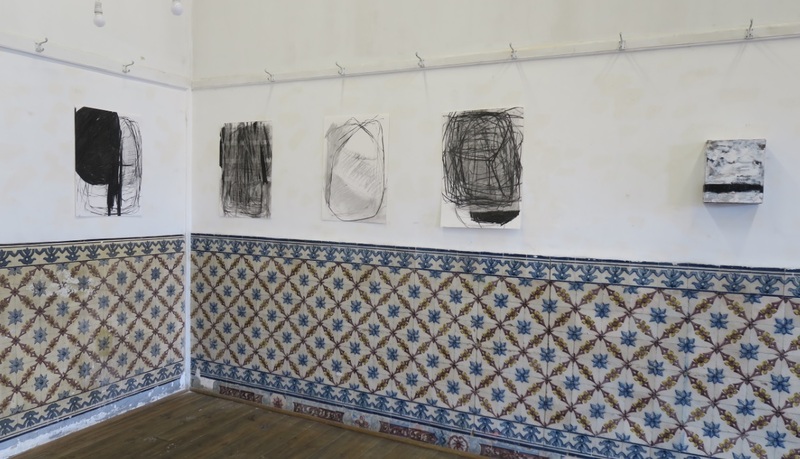 Sebastiao Castelo Lopes graduated from our MA Drawing course last year, and has since moved home to his native Lisbon, Portugal where he has had his work featured in two exhibitions, one of which was a solo show. Sebastiao was also selected for a residency at the Budapest History Museum in Hungary. We talked to Sebastiao about what he’s most proud of achieving since graduating and how his artistic practice has developed over the past year. What have you been up to since graduating from Wimbledon College of Arts? Since I graduated from Wimbledon, I’ve been consistently working on my pieces. I have also been lucky enough to exhibit my work in a couple of shows and undertake a residency in Budapest at the History Museum. 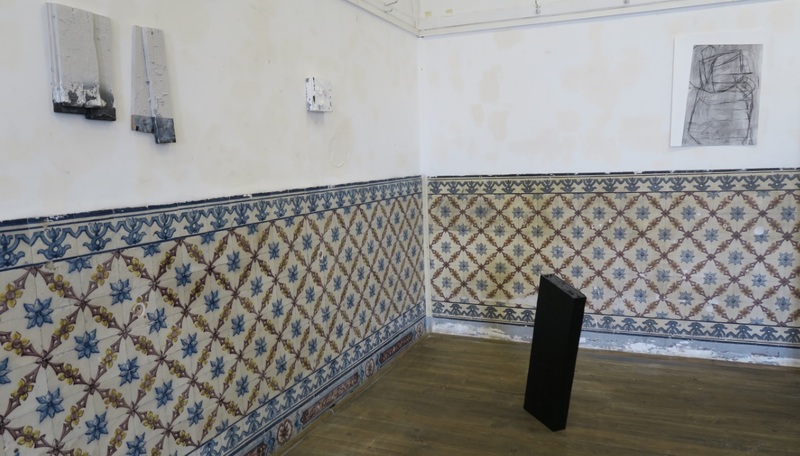 I had a solo exhibition at EKA Palace in Lisbon and the name of the exhibition was To Work. I contacted people at EKA Palace with a proposal for a solo show and they agreed to put it on. I’ve enjoyed working on the exhibition because it was my first solo show in Portugal and because the works that I presented were all made here in Lisbon after I graduated. It was great to be able to see new work on the wall. 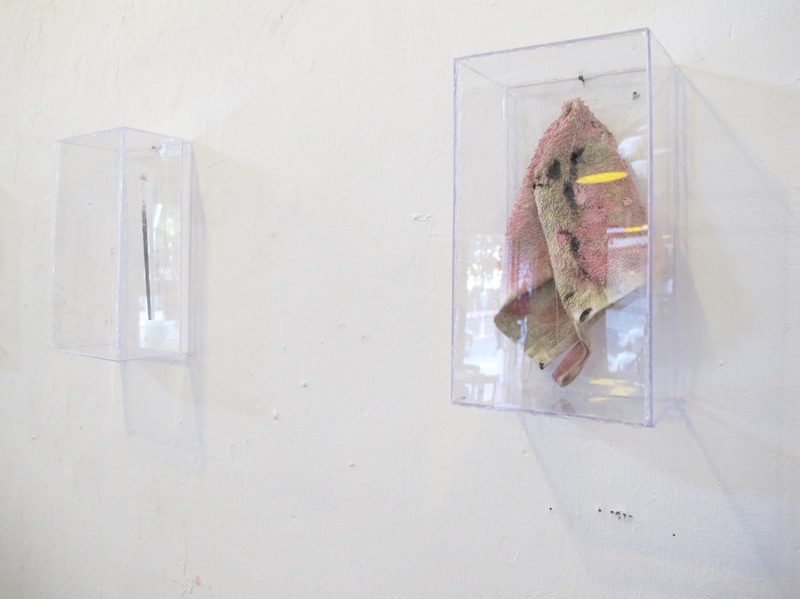 The second show was at Foco Gallery in Lisbon. I was showing with four other artists and the name of the show was ‘Perspectiva Temporal’. For this show, the gallery staff and I had a conversation where we all agreed on the idea of having a collaborative show rather than a solo show, so it could be a bigger and better event for the gallery and for the artists involved. How would you describe your practice to someone who hadn’t seen your work before? I’m a maker. My works are material and visually driven, and the aesthetic can be considered post-minimal. I’m interested in creating things with flaws. I prefer to make something raw than something polished or finished. My works are intended to represent the act of making them. I like to think that I make work in such a way that the viewer can gain an insight into how I’ve made them. I make objects that are usually made from wood and then painted. The majority of times they appear to be geometric figures, such as cubes, arranged in a space. My works on paper are mainly made with charcoal and some cutting and pasting. They are abstract compositions inspired by movement. How has your practice changed and developed since graduating? Since graduating, I’ve been further developing my woodworking abilities and focusing on the object-making part of my work. The objects are becoming a pillar of my practice and creating relations with the objects and the other pieces is something that I’ve been really focusing on recently. What are you most proud of doing since graduating? I’m most proud of “existing as a person that makes things”. I’m proud of being able to exhibit my work and continuing to work on new creative projects. I’m proud of being able to maintain a fairly regular amount of working hours a day. I’m proud to have started some new works, as well as finishing some old ones. I’m also proud to continue to work in collaboration with Giulia Cacciuttolo, who graduated from the MA Painting last year. Basically, I’m proud that I continued with my practice. What was your favourite thing about the MA Drawing course? The resources that I was able to use. The thing that changed my work completely last year was the amount of stuff that I could do that I never had the opportunity to do before. The workshops at Wimbledon are really good. I’ve used the darkroom, print workshop, metal workshop and wood workshop, and they all transformed my work in one way or another. You can find out more about Sebastiao and his work by visiting his website and following him on Instagram.